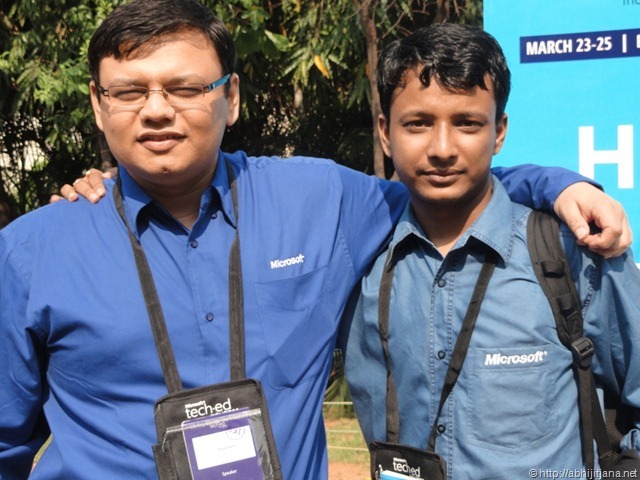 Microsoft Tech-Ed is the premier technical and networking event for tech enthusiastic which is mainly focused on current and upcoming Microsoft technologies, tools, platforms and services. 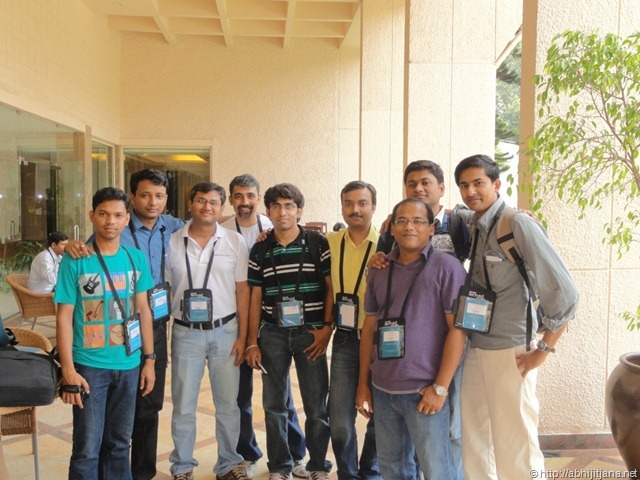 Tech-Ed India 2011 held at the The Lalit Ashok Hotel , Bangalore From 23rd –25th March 2011. 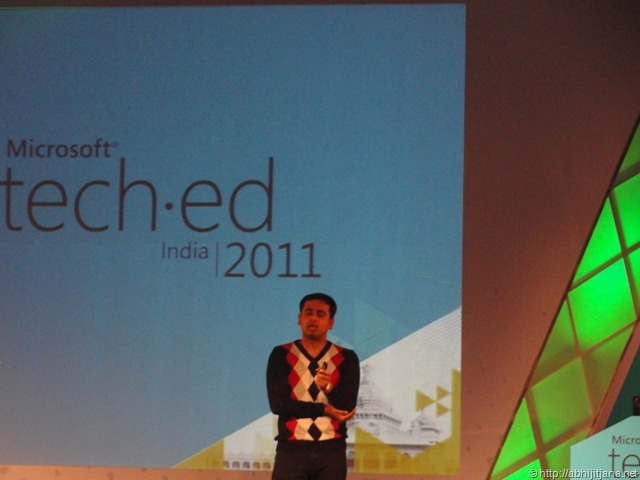 I didn’t think that I will be attending the Tech-Ed 2011 this year as I had already been there at TechReady , Seattle and was busy with my other travel and some of project delivery. 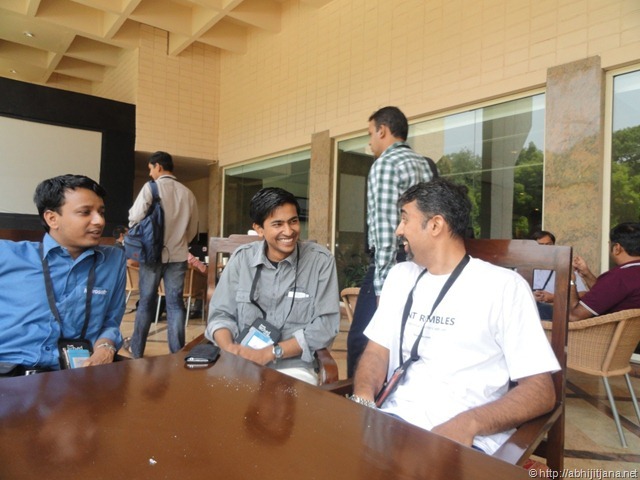 But, I finally managed a single day ( thanks to my manager and team mates ) for travel to Bangalore from Hyderabad to attend and meet community geeks over Tech-Ed. I started from my home at 4 AM and took a early morning flight ( 6 AM ) from Hyderabad and reached to Bangalore Airport at 7.15 AM . Reached Hotel Lalit Ashok at 8.15 AM, I thought it was too early, but sorry, I was wrong, too many techies are already roaming around. I did my registration first and looking forward to meet with my friends. 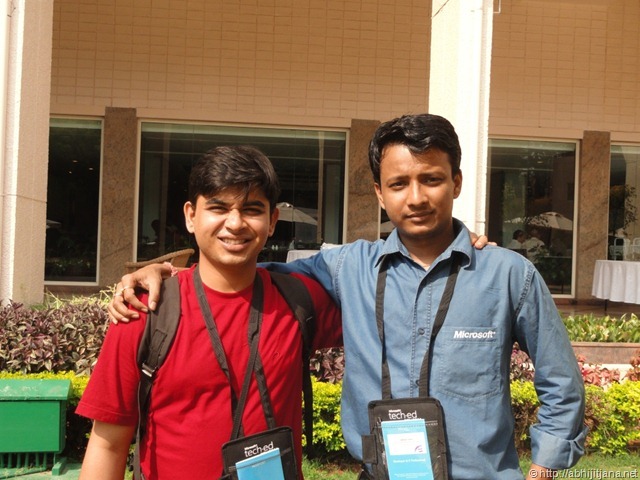 First person I met of there was Dhanajay Kumar ( We called him DJ ) , a Connected System MVP and one of my good friend. 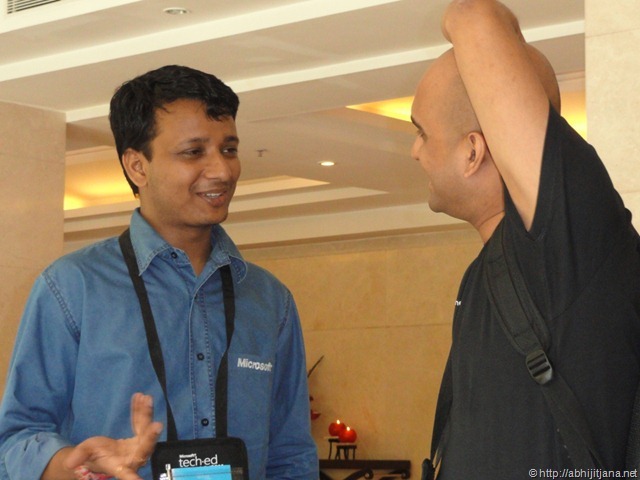 Then what, met one by one all of my MVP and community friends like Jacob Sebastian ( SQL Server MVP ) , Ranekua Prasad ( Expression Blend MVP) , Malleswar Reddy ( Mobile Apps MVP ) , Pinal Dave ( Microsoft Evangelist – SQL Server ) , Vijay Raj (Application Setup MVP ) . While roaming around the venue got a chance to catch up with my great colleague Harish Ranganathan ( MS Web Developer Evangelist ) , Abhishek, Chinmay, Mehul who were there for last 3 days. I had a talk with them regarding their experience over past days. It was time for Key Note session for Day 3. 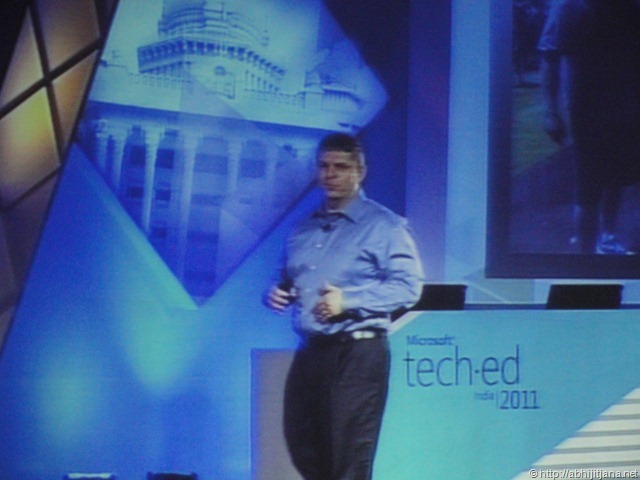 Keynotes speaker for Day 3 Jason Zander Corporate Vice President, Visual Studio . He is a great speaker and presenter, I have already attended couple of session from Jason while I was in Seattle, he is always with his best. Had a blasting key notes for Tech-ED, day 3. What else, much awaited session from Harish Ranganathan on “HTML 5 with VS 2010 SP1” and Deep Dive: MVC Controller Architecture By Chris Eargle. 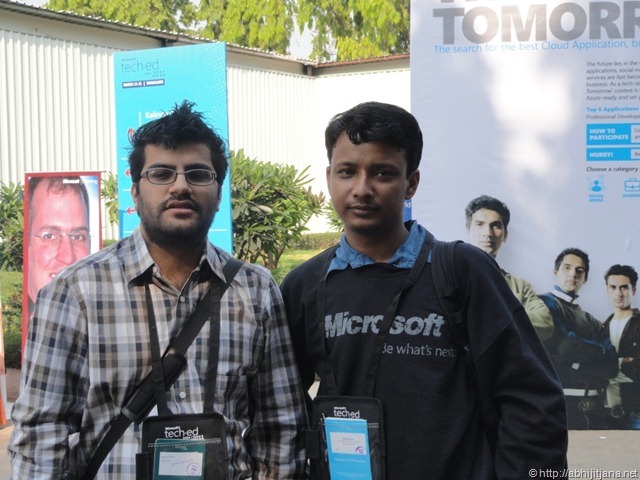 Harish Session was awesome, where he explained about HTML 5 and what’s new with VS 2010 Service Pack 1 for HTML 5. Best part of the session was to many demos and very much interactive with very small small VS Tips and Tricks. 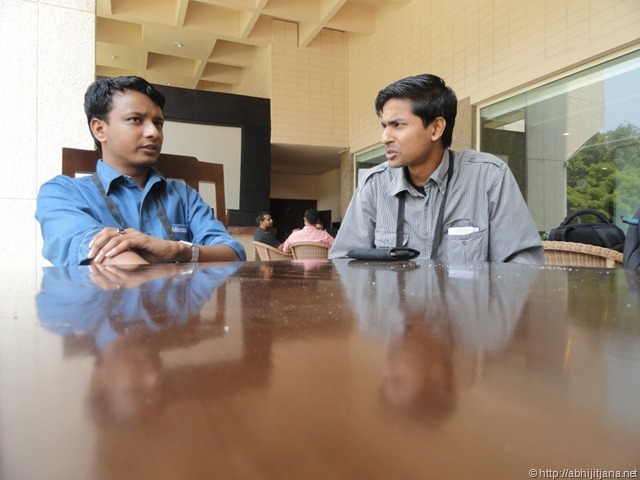 Had a nice discussion Technical Discussion with Annop Mahasudoon ( Client App Dev MVP ) and met with my one of my very good collage friend Abhsihk after more than 4 years . And also distributed some gayan to Dhananjay . DJ is good listener !! What else, it was already 4.30 PM, I have had to leave for Airport for my flight back to Hyderabad. Left the venue with some great experiences. Back to Hyderabad at 8.30 PM . 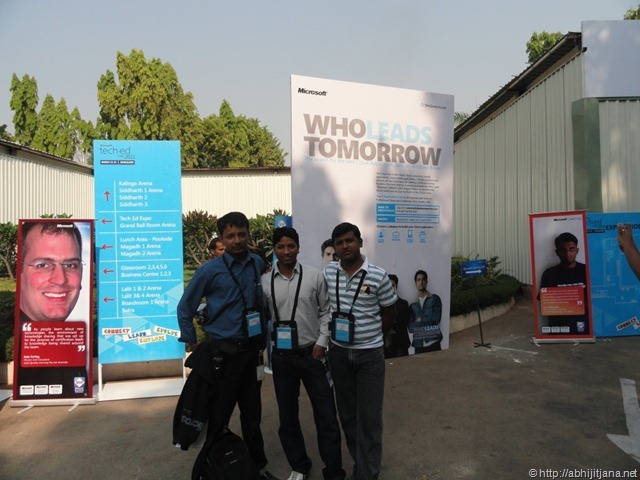 It was an awesome and great to be there at Tech-Ed. Next time on awards will plan for 3 days with out any failure. Thanks to all of you ! Hey, thanks for sharing. Please post technical videos and discussions,if possible. Thanks Ravi. 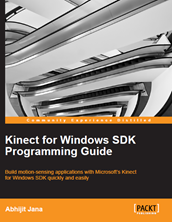 I guess video will be available soon on TechEd site. It was nice meet and talk with you Pinal ! Hope to meet soon again ! It was nice meeting you and knowinng you. That was a fabulous discussion we got into “extension vs no extension in IE9”. nice chatting with you. Great meet and great talk with you ! Hopefully we will have much such discussion in upcoming days. Your are a Most Valuable Person my friend :). Glad you could make it for a day Abhijit! Thanks for the writeup and the pictures! Thanks Suprotim. It was an awesome meet and nice to talk all of you !! It was really awesome experience. Really enjoyed a lot! Sure… Will share videos with you. Yes Pranav. It was a great !! 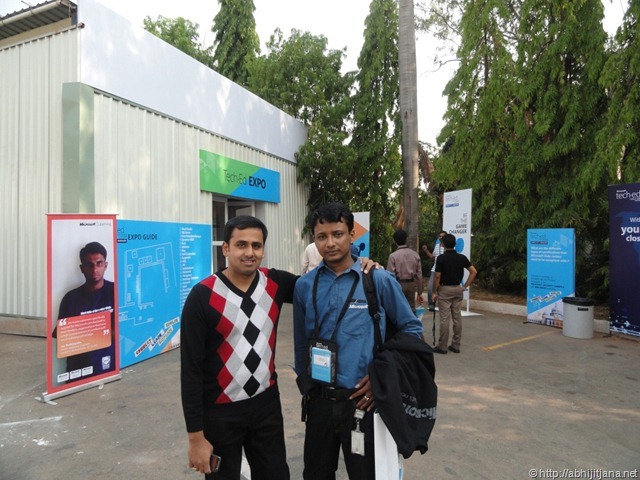 It was nice to meet you at the Event,Looking forward for the MVP open day at the IDC,see you there! 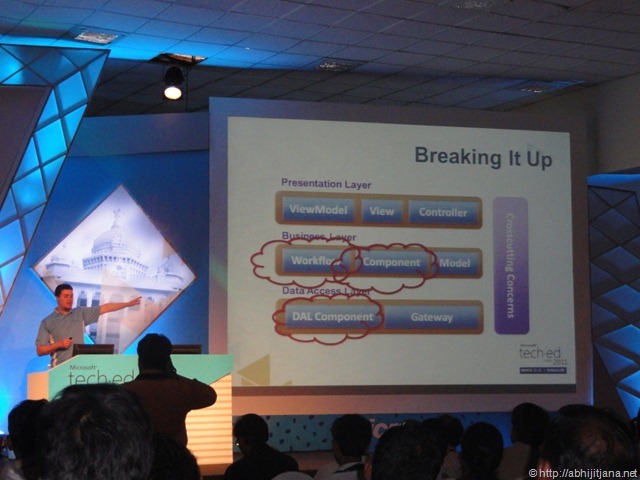 hey thanks for sharing… can u just send me some links of video from this teched event.